Product prices and availability are accurate as of 2019-04-11 09:28:34 UTC and are subject to change. Any price and availability information displayed on http://www.amazon.com/ at the time of purchase will apply to the purchase of this product. 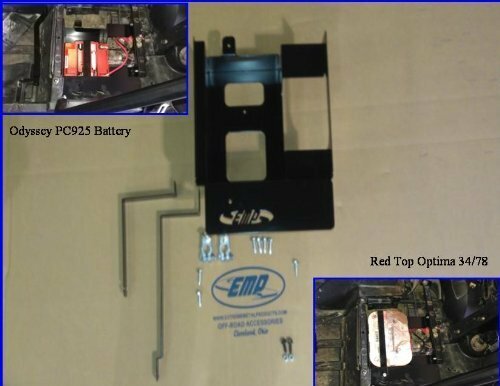 Install a full size Battery or an Odyssey PC 925 battery in your RZR. 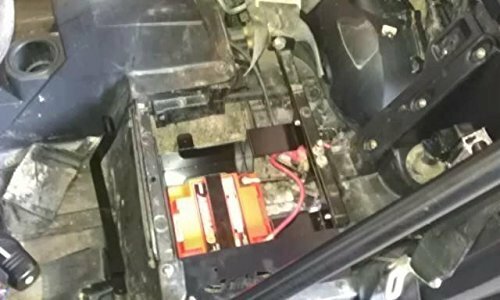 This fits under the drivers seat and replaces the small stock battery. This will hold either a full size Optima or another full size battery (Length 9-7/8 x Width 7-1/8 x High 6-1/2) or a PC925. Comes with two straps to secure either size battery. Also, comes with lugs to convert a battery lug to a marine type terminal.